A queer love story for a late capitalist world, Hot Belly follows the sweeping love affair of Valerie and Veronica and the external forces that influence their partnership: money, social media, food, spirituality, illness, weather patterns, and body hair. When the two decide to become transients in the Midwest, selling people’s abandoned goods in parking lots, the suburban-wild puts pressures on their relationship they couldn’t have dreamed of. This two-woman show features the acting talents of Elizabeth Doss and Alexis Scott, with design by Lisa Laratta (scenic/costume), Rachel Atkinson (lighting) and Trevor Welch (musical score). This is paper chairs’ first time to produce a play written by our frequent collaborator, Austin-based rising playwright Diana Lynn Small. 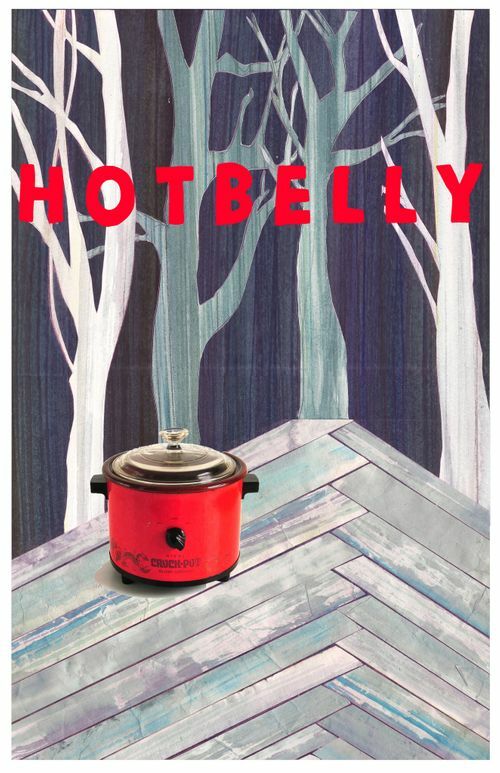 We are proud to share the rolling world-premiere of Hot Belly with the NYC/Chicago based company, The Syndicate. Hot Belly will be the first play ever produced in The Austin Public, a media and film studio on the Eastside. A perfect break-out venue for the play which lives between the worlds of a daydream and a live television studio audience. For more information, visit the University of Texas New Theatre website.